It’s Spring Break! We’re enjoying the weather and the free time but I have to admit I’ve already heard the cries of what are we doing today? I’m bored!!! One of the things I can always count on to break our “boredom” is to head to the movies. The movies are usually a good idea but tickets can add up quickly. A night at the movies has become painfully expensive. With prices hovering over $10 a person, it can really put a dent in your pocketbook. Thankfully we have several dollar/bargain theaters in the Southern California area. There are local dollar theaters in the Inland Empire, LA , Orange and Ventura Counties. I searched and searched and couldn’t find anything for the San Diego area. If you know of one in the area , please email me so I can add it to the list. We love visiting bargain theaters because they’re inexpensive and if the kids became bored and we need to leave, we are only out a couple of bucks. 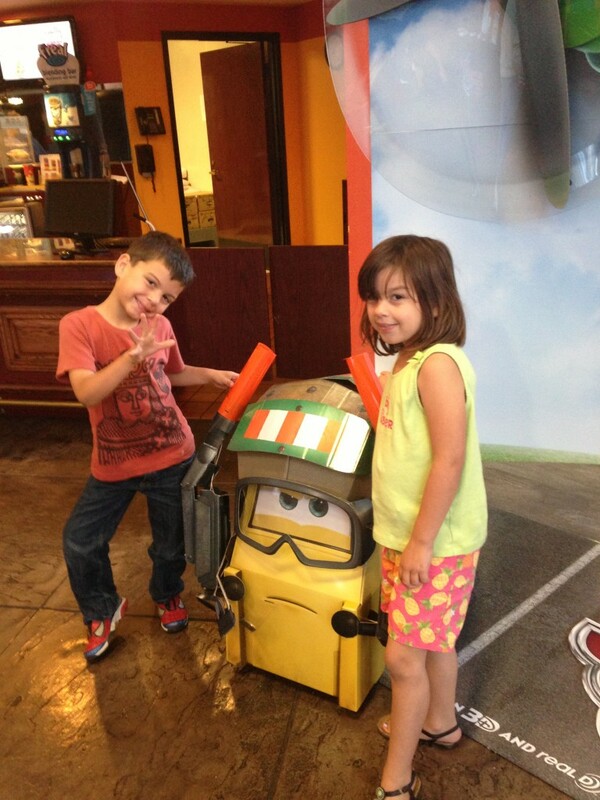 Family films are particularly popular at these type of theaters, so it’s usually easy to find something for everyone. We’ve had a great experience and I’m sure your family will too!! Disclosure: This is not a compensated post. A subscription is provided for review purposes. I love shopping for my kids. If I could I would head out each weekend. The problem is I never have the time to go out and spend a few hours at the mall. Enter FabKids. It’s shopping for kids, made easy. There are two ways to shop and it’s all done from the comfort of your own home. You can get a regular membership and shop all outfits at regular price or you can get a VIP membership and have a personalized outfit pick for your kiddo by the FabKids stylists. It’s super easy and the outfits are adorable. My daughter loved her first outfit and we can’t wait to get more. My daughter is showing off her safari outfit and the gold gladiator sandals. The clothes are cute and stylish. Plus it really takes no effort on my part. If you sign up right now you get 1 outfit + free one! You can’t beat that! Oh and I forgot to mention Free Shipping! To check out other styles and for additional info head here. Disclosure : This post is part of the SPLENDA® Brand Sweet Life blogger program by McNeil Nutritionals, LLC. and The Motherhood, who sent me products and compensated me for my time. Opinions, experiences and photos shared here are my own, and I hope you enjoy them. Spring is here! We’re in the middle of a two week long Spring Break and loving every minute of it. It’s a time to enjoy the outdoors, make memories and yes even get our home organized. I have to admit that this year I’ve been a little worried about Spring Break because I’ve made some huge changes in my life. Back in December, I committed to losing weight and getting healthier. It’s been 3 months and I’m happy to report that I’m down 45lbs and 54 inches! I still can’t believe it. The thing is I really haven’t made drastic changes. I’ve just swapped some of my favorite things for healthier alternatives. I definitely look at sugar content, eat plenty of fruits/vegetables, and try to commit to eating the best I can. I have a routine and I’ve been a little nervous about breaking that routine. I decided that I needed to arm myself with little indulgences that wouldn’t make me feel guilty. That’s why I decided to swap sugar with Splenda in recipes.I’ve made a choice to reduce full sugar and calories in my recipe with SPLENDA® . I wanted to share my absolute favorite treat. If I’m really craving something sweet, this is my go to recipe. 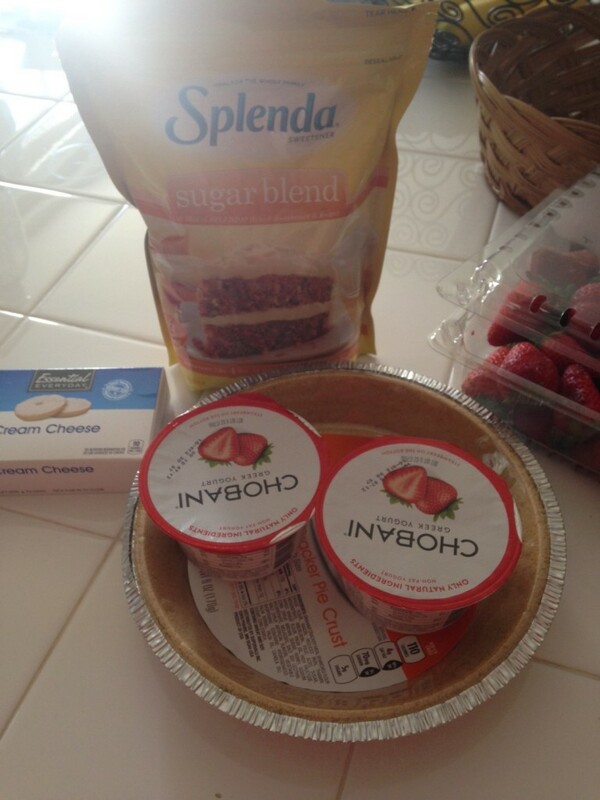 I used the Splenda Sugar Blend because that’s the sweetener I prefer, but it works great with regular Splenda. 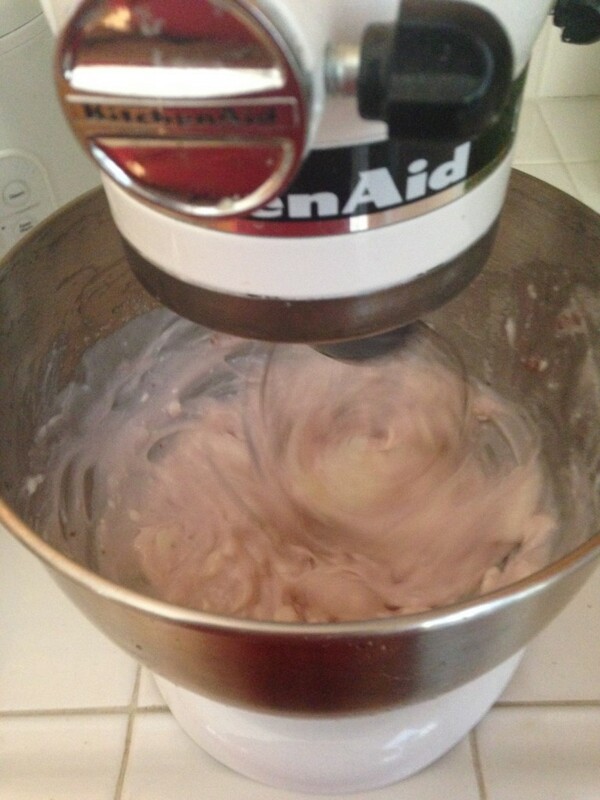 In a large bowl or mixer whip cream cheese, splenda, and yogurt. Blend until fluffy. I set my mixer to two minutes on medium speed. Spoon mixture into pie crust. 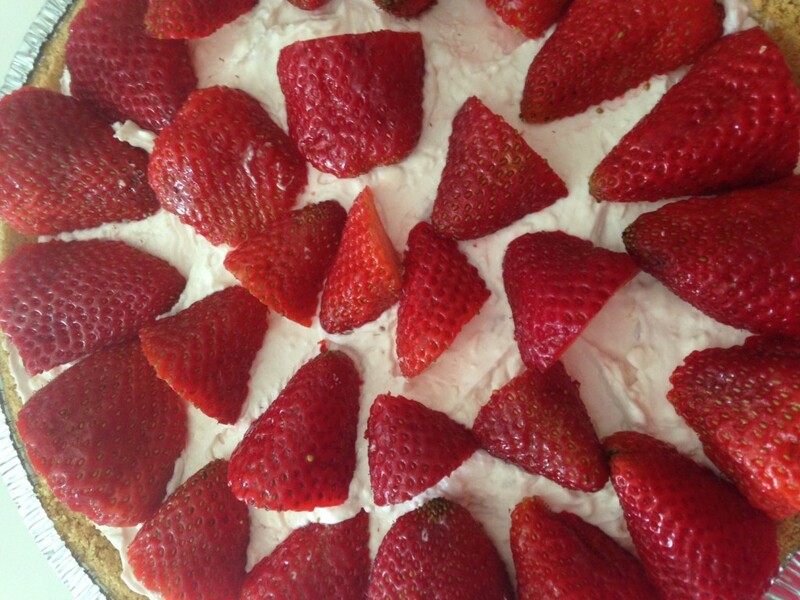 Add sliced strawberries as topping. To check out delicious recipes or to learn more about swapping sugar with Splenda head on over here. Join us at 1pm ET for a Spring Celebration c twitter party with The Motherhood! We’ll be sharing Spring recipes from The SPLENDA® SWEET SWAPS™ page along with tips on how to make smart, balanced decisions as part of your lifestyle. Five prizes will be given away randomly to selected participants who participate in the trivia challenge and answer correctly. Each prize includes a $50 Visa gift card and other goodies. RSVP here and use the hashtag #SweetSwaps on Twitter to participate! 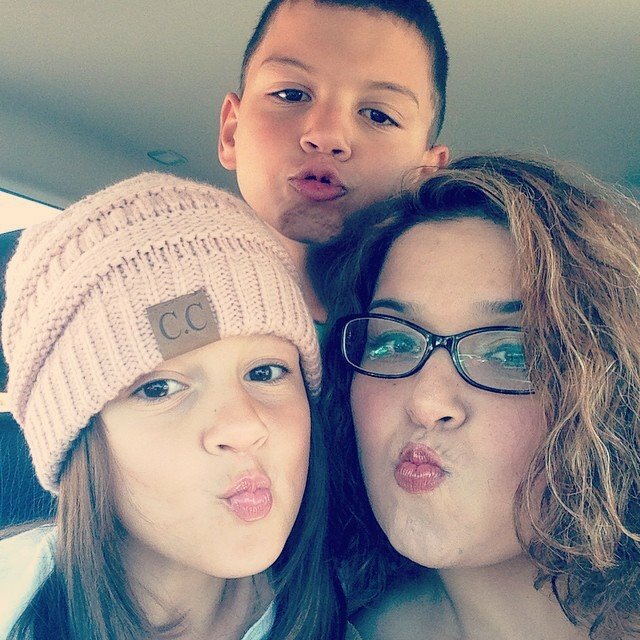 Make sure to follow me @daytrippingmom. Looking forward to chatting with you! Hope to see you on Twitter!